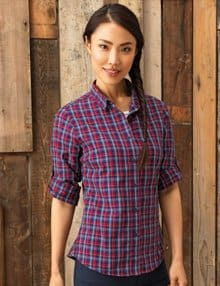 You only get one chance to make a first impression, so when customers step into your retail shop, make sure your retail staff uniforms make an impact. 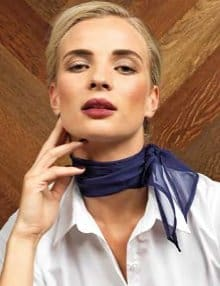 At Banksford, we’ve got everything you need to put together the perfect staff uniform, from personalised shirts to protective aprons, and accessories like headwear and scarves. It really is a one-stop shop for taking your retail outlet staff up to the next level, with low prices you’ll love. Whatever type of retail outlet you’re choosing a uniform for – maybe it’s uniforms for florists, a supermarket, high street department store or something a bit more unique – Banksford know that you want a uniform which will highlight your brand and make your staff easy to identify, so that customers can confidently engage with them and purchase your products. Of course, it’s also important to select a uniform which is not only effective for the business but comfortable for staff. It’s crucial to consider style, form and function. 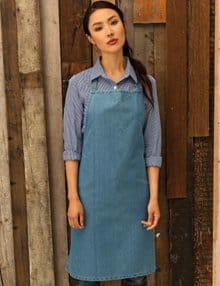 If staff are comfortable in what they’re wearing, it will show when they’re serving customers. Happy and confident retail staff, in well-chosen uniforms which work well for their particular role, are a fantastic way to generate positivity and enthusiasm for work. Your uniform is your opportunity to demonstrate the face of your brand in action. Choose from Banksford’s fashion-forward catalogue, with a wealth of colour and style options, which will match the aspirations of your customers. Thanks to our extensive catalogue of pieces, which are easy to mix and match, you can design a consistent look with a theme which works for every role in your business, from your cashiers to your management team.